Over two centuries ago, in a valley nestled within the eternal majesty of the Allegheny Mountains in White Sulphur Springs, West Virginia, we pampered our first guests. And from that moment, until today, when you enter our grounds you become part of a haven rooted in hospitality and luxury. The Greenbrier is best known as “America’s Resort” and is synonymous with world-class, authentic southern hospitality. Since 1778, The Greenbrier has offered a unique, modern-day luxury experience to discerning guests from around the world, and that tradition continues today. 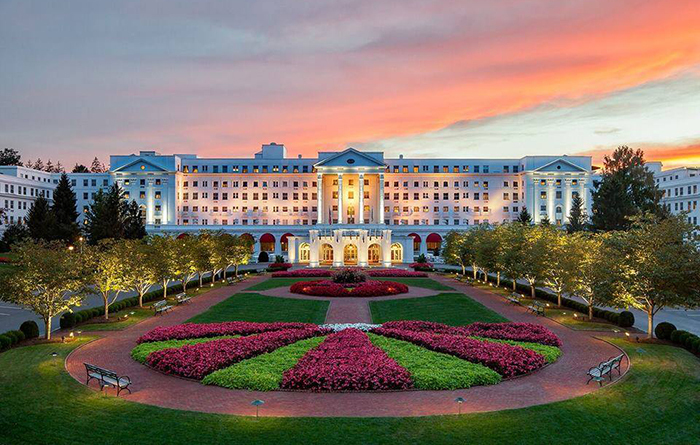 The grand scale architecture, Dorothy Draper décor, immaculate attention to detail and legendary gracious service set The Greenbrier apart from all others. More information here. Marion, Indiana is home to a century old park, located on the north side of town and comprised of 110 acres of towering trees and green areas along the Mississinewa River. Originally owned by the Matter Family, the seed donation of 30 acres was gifted to the city in 1892, and has been making memories ever since. 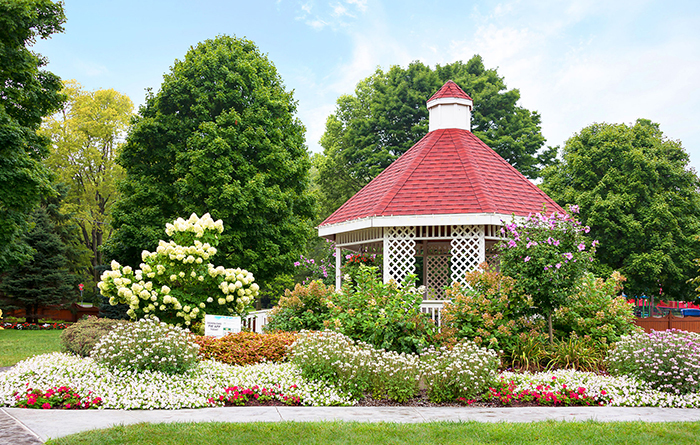 In 2008, the Mayor of Marion, Wayne Seybold and Doug Darga, of the Parks Department, decided to redirect 6.3 acres of the park to create a showcase of aesthetic beauty. Doug designed the entire garden space from the water features, to the garden structures, and the construction of The Garden House. The Gardens of Matter Park were created . . . and a ‘sense of Place’ was born. A Place where weddings are experienced and remembered, a Place where reunions and graduations are planned months in advance, a Place to visit and create a memory for tomorrow. More information here. Built in 1902, this historic 46-room luxury hotel commands a beautiful view of the Straits of Mackinac. Traveler magazine’s Gold List and Travel & Leisure magazine’s top 100 Hotels of the World, and is a multiple Conde Nast Gold List and Travel and Leisure Top 500 recipient. Hotel Iroquois was awarded a perfect 100 location points by Conde Nast Traveler Magazine for its beautiful waterfront setting. The McIntire’s attention to detail and renowned sense of beauty carry through in every aspect of the hotel, restaurant, and, of course, the gardens. 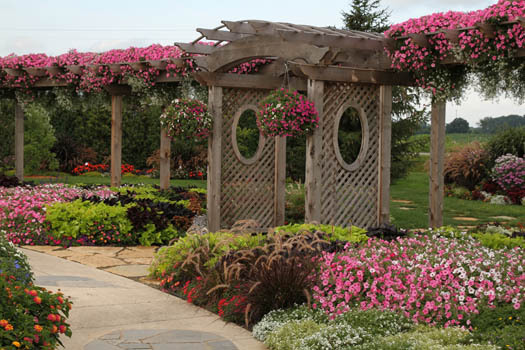 Proven Winners is their exclusive choice for annuals, perennials, and shrubs because of their vibrant color and exceptional performance. More information here. Meadow Brook Hall is the historic home of one the automotive aristocracy's most remarkable women, Matilda Dodge Wilson, her second husband Alfred Wilson, a lumber broker and their four children, Frances and Danny Dodge, and Richard and Barbara Wilson. It exists as an indirect product of the achievements and good fortune of her first husband, automotive pioneer John F. Dodge, co-founder of Dodge Brothers Motor Car Company who quickly prospered in the burgeoning auto industry before his tragic death in 1920, leaving Matilda one of the world's wealthiest women. This fortune not only built one of America's finest residences and country estates, it also supported numerous Detroit charities and organizations, and made possible the founding of Oakland University. 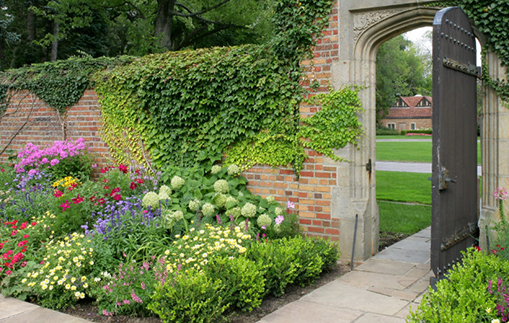 Meadow Brook Hall was built during the country place era, a time when wealthy American industrialists pursued rural life in settings of great beauty. It represents one of the finest examples of Tudor-revival architecture in America and is especially renowned for it superb craftsmanship, architectural detailing and grand scale of 88,000 square feet. Inspired by the country manor homes in England, it was designed and built by the Detroit architectural firm of Smith, Hinchman and Grylls between 1926 and1929, at a cost of nearly $4 million. More information here. 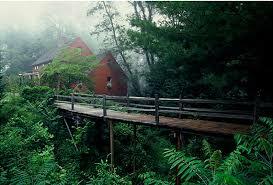 Frederick Law Olmsted was called upon by the Buffalo Parks Commission in 1868 to design parks for Buffalo. His unique design included not one but three parks, The Park (Delaware Park), The Parade (Martin Luther King Jr. Park), The Front Park, connecting parkways and circles. As Buffalo expanded, Olmsted was called upon to enlarge the park system by adding additional parks including Cazenovia Park and South Park. South Park was constructed between the years of 1894-1900 from 156 acres of farmland. Olmsted’s final design of South Park included 11.4 acres for a conservatory and surrounding formal gardens. In 1894, Professor John F. Cowell was appointed as the first Director of the conservatory and to oversee plantings in South Park. He was considered a genius in botany and horticulture and his passion was deep rooted in his mission to expand and diversify the soon to be park and conservatory’s collections. He gathered plants, trees and flowers from every corner of the world and his expertise and guidance allowed for many successful years for the conservatory. While South Park was being constructed, Lord & Burnham Co. was busy designing the South Park Conservatory. 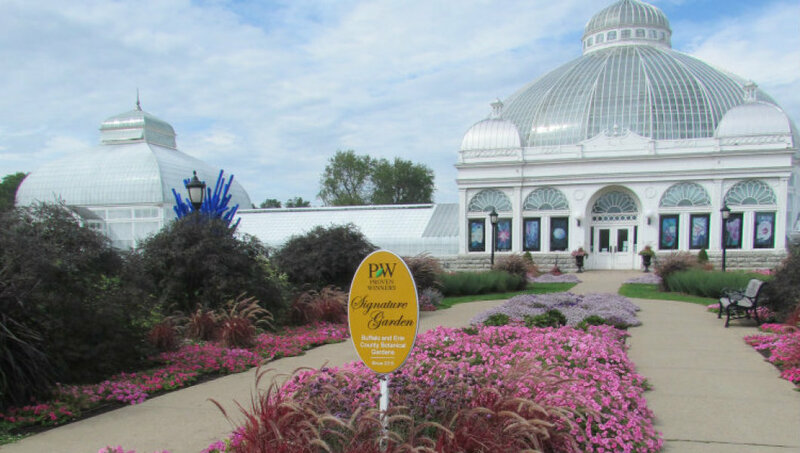 The design was modeled after the beautiful Crystal Palace at Kew Gardens in England and was built by a Buffalo construction company, George P. Wurtz & Son for a total cost of $130,000. Upon opening in 1900, the conservatory was the third largest public greenhouse in the United States and was ranked as the ninth largest in the world. More information here. An easy drive from many of the largest cities in the Southeast, Harrah’s Cherokee Casino resort offers a perfect blend of majestic mountain scape, luxurious accommodations and authentic, entrancing Native American culture. A 56-acre mountain paradise, Harrah’s Cherokee indulges guests with a range of experiences from superb dining and entertainment to a luxurious 18,000-square-foot spa oasis. More information here. Nestled along the banks of the Rockcastle River and surrounded by the Daniel Boone National Forest is one of Kentucky's best-kept secrets - The Rockcastle River Trading Company. It is owned by one of its own native sons, Jon Carloftis, who many know as the ingenious rooftop garden designer of New York City and his gracious mother, Lucille. While some might call this unique enterprise a shoppe, it is in truth much more. The Rockcastle River Trading Company is located in the countryside on a rolling plot of 50 acres that is in actuality the lands of the Carloftis family homestead. Southern Living magazine notes “The Rockcastle River Trading Company is definitely worth the stop for any traveler visiting the state of Kentucky. Look for this unique stop off the interstate (I-75) just south of Lexington. Rockcastle River Trading Company invites you to take a break to stop and wonder its gorgeous grounds ... its beautifully landscaped gardens are a touch of Eden." More information here. 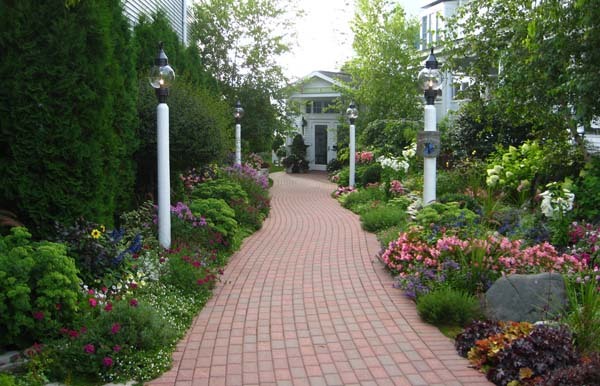 Stop by and visit our breathtaking display gardens! A great opportunity to visit Four Star and be inspired by all the beautiful Proven Winners and Proven Selections installations. We have over 50 different hanging basket combinations and over 50 upright combinations on display. Stroll through our shade beds, check out the full sun beds, and see how the new varieties compare to your favorite Proven Winners. Please call (734) 654-6420 for more information or to schedule a visit. 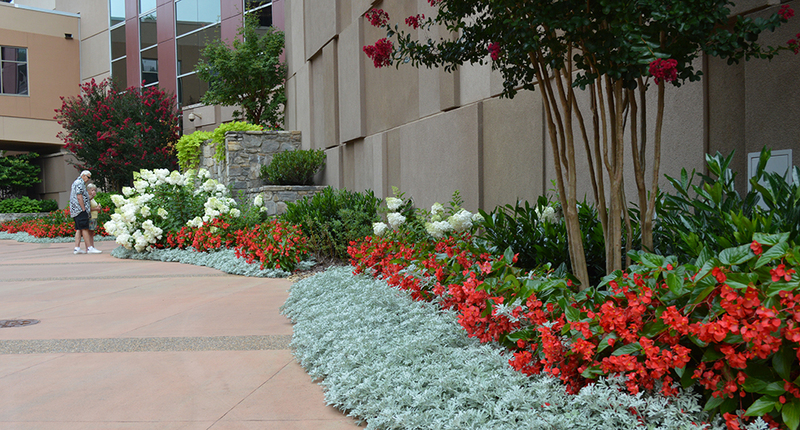 Our display gardens are open August 8 - October 1. No appointment necessary. Stop by and stroll through the gardens to get a sneak peak at some new varieties and the outstanding performance of Proven Winners plants. With landscaped beds, containers and hanging baskets galore your'll be sure to get some inspiration for your own garden designs. Spring Meadow Nursery has extensive plantings around its office, including over 1200 feet of landscaping along the road in front of the nursery. 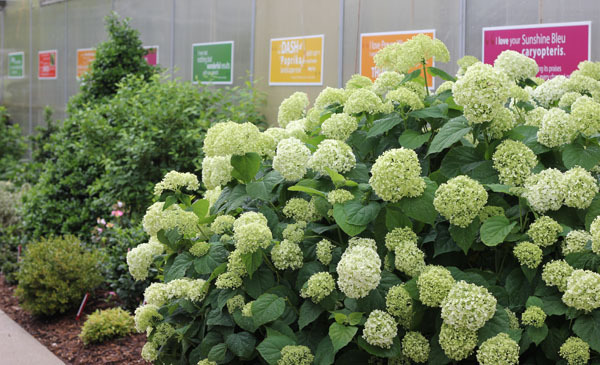 Enjoy the newest varieties of roses, hydrangeas and butterfly bush, including some yet-to-be introduced cultivars. 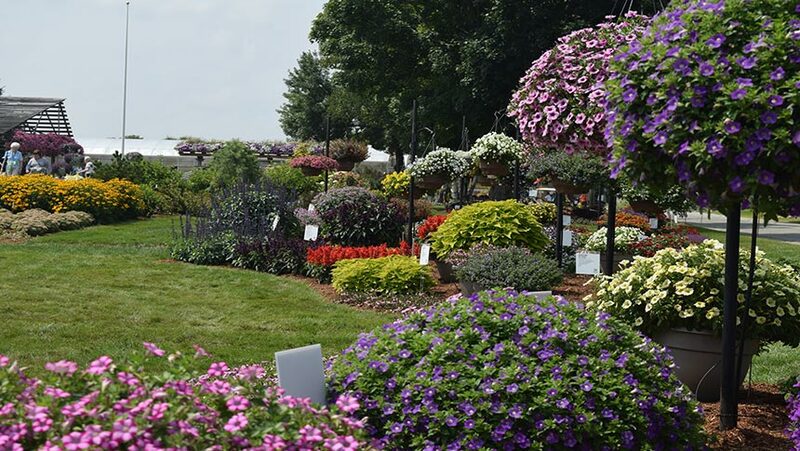 Walters Gardens, Inc. welcomes you to come and tour our third generation wholesale perennial production company, home of Proven Winners® Perennials. 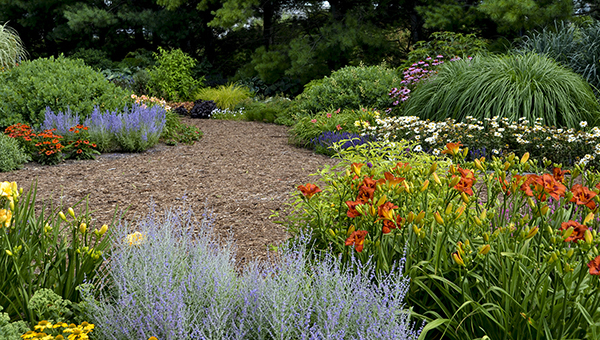 We offer over 1,000 varieties of bare root and plug perennials including a top notch lineup of 45 Proven Winners® Perennials. About 100 new items are added to our catalog each year. Many new varieties are hybridized and developed right here at Walters Gardens.